If you’re not a member of Webcomics.com, you might wonder about what goes on behind the “paywall.” Here’s a list of topics from last month — both from the site and from the private forum — to give you an idea of what Webcomics.com is like every day. Hitch It / Ditch It Hot Seat: We wrapped up the popular Hitch It / Ditch It critique series. In this critique, I go to your site and list one thing I think you could work to improve (and suggest ways to accomplish this), and then I identify one thing you’re doing very well. As always, this is merely the opening to a deeper discussion of the craft of cartooning and the business of webcomics. These critiques have created some very good conversations about how — and why — we do what we do. Tax victory for artists: The United States Tax Court handed down a ruling that is being described as a victory for artists. 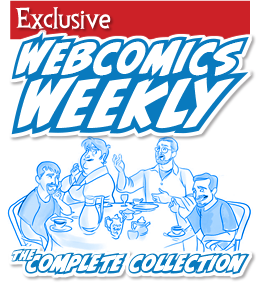 We tell you what that is and how it can affect your webcomics business. Ello: So far, Ello is a good place to keep a secret. But could it unseat Facebook? And what does its acceptance of venture capital say about its pledge to stay ad-free? And, for that matter, what is a public-benefit corporation? This post examines the new social-media site, its warts and its possibilities. 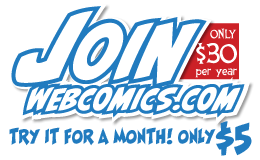 Marketing to “people who like comic strips”: Is it even possible? And, if it is, should you? Or should you target your message differently? This post kicked off a fantastic discussion that made excellent points on both sides of the issue. Understanding trim size: Here’s another seemingly obvious question: Who sets the page size — me or my printer? The answer may surprise you. This is a down-and-dirty guide to the print publishing concepts of trim, bleed, live area and margin. Is RSS dead? This is one of those “Mac or PC” questions that will divide a roomful of nerds asunder. But the real question is this: If RSS makes it easier for a scraper to steal my comic, should I support it on my Web site? There are no easy answers, but this post arms you with the information you’ll need to make an informed decision that’s right for you. Sherpa Safari: Webcomics.com member J. R. Faulkner (creator of Promises, Promises) signed up for the webcomics aggregator, Comics Sherpa, run by the Universal UClick syndicate. She reports back with a review of the site, its useability and its functionality. Comic Easel — Random Comic shortcode: A recent update to the ubiquitous Comic Easel theme (by Philip M. “Frumph” Hofer) makes it easy to plug a comic from your archive into a blog post. With a few simple commands, you can post a random comic, one of several comics that feature a certain character, a specific comic — and more. We give you all the information you’ll need to make the most of this improvement. 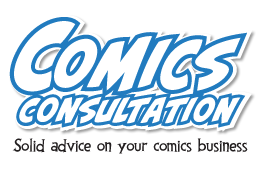 Amazon Advantage: Using Amazon Advantage, you can actually build yourself a distribution deal that is quite similar to that offered by the likes of Diamond Comics Distributors and Ingram Books. We do a quick primer on distribution deals, and then we drill down the pros and cons of signing with this new offering from retail giant Amazon. iPhone Backup Extractor: This is a handy pro-tip for those of us who build large files on our iPhones, and then have a hard time getting them of the phone and onto our desktops. Reaching a Comic Archive’s “Critical Mass”: Webcomics.com member Steve Troop (creator of Melonpool) has been doing webcomics since the very beginning. He took a break from daily updates in 2005, but now, almost ten years later, he’s making a return to webcomics with a rebooted comic and a new attitude towards his monumental archive. He shares what he’s learned along the way — and how this experience had guided his new approach. Getting better-looking JPEGs in your WordPress site: WordPress automatically compresses JPEGs when they’re uploaded, but this can lead to image degradation and artifacts if you — like most artists‚ have already set a compression to your image file. Luckily, you can override the automatic compression, and this post guides you, step-by-step, in doing so. Getting ready for the holiday shopping season: Christmas is right around the corner. Here’s a quick guide to get your site ready for holiday shoppers. Kickstarter improves shipping options: We tell you how to make use of this improved functionality. Make your WordPress site function like Tumbr: All it takes is some simple code and you can mix and match comics and blog posts in a Tumblr-like setting. We’ll walk you through it, step-by-step. Amazon Seller Central: Through Seller Central, you can offer your self-published items for sale on Amazon, but unlike Advantage (which we discussed earlier this month), you package and ship the merchandise when it’s sold. This is another step-by-step tutorial to get you started. How did you build your Web site? Buffers: How much is enough? Hiring a colorist: What kind of information/prep do I need? Exporting PDFs from InDesign: One member is having trouble getting his PDFs (which are to be used in a print project) to look right. He gets plenty of troubleshooting guidance from the membership, including a post from the Webcomics.com archive, InDesign: making PDFs for Print. Converting RGB to CMYK: A member writes that he has colored his comic in RGB and is worried about image degradation once he converts to CMYK for print. We guide him around the pitfalls.